I recently spoke at Nineworlds Geekfest 2016. The nice thing about speaking there was that the audience was a little different from the usual web developer crowd I speak to. Of the audience only one considered themselves a web developer. Although the majority had had some experience with HTML and 3D graphics. The talk was to inspire the building of virtual reality. Furthermore to show that by doing it in the mobile web a great many people can be reached. A-Frame is library for building 3D and VR experiences in a HTML like format. It is modular and extensible. 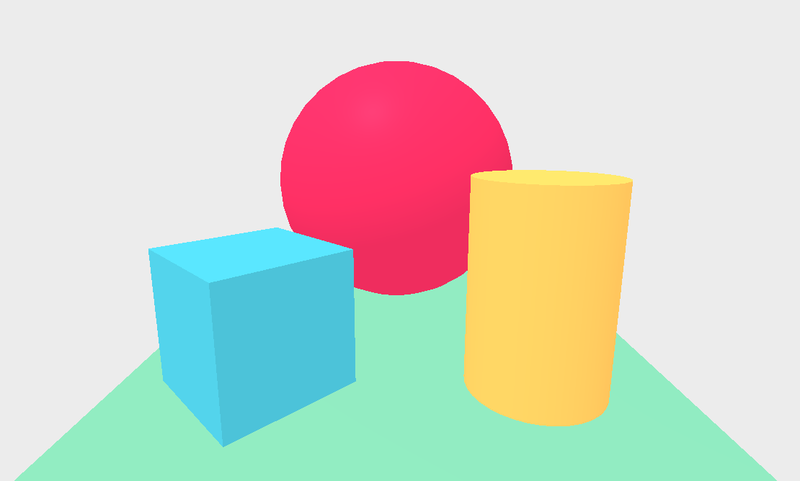 Components for it can be written based on THREE.js and used just like HTML. All you need is a little bit of HTML is all you need to get started. This scene displays a few primitive shapes, it is the A-Frame hello world. The other really cool thing about A-Frame is that it handles everything you need for virtual reality including providing the WebVR polyfill so that you can show your virtual reality experiences through Google Cardboard without needing a WebVR capable browser & headset such as Samsung Internet with Samsung’s Gear VR. 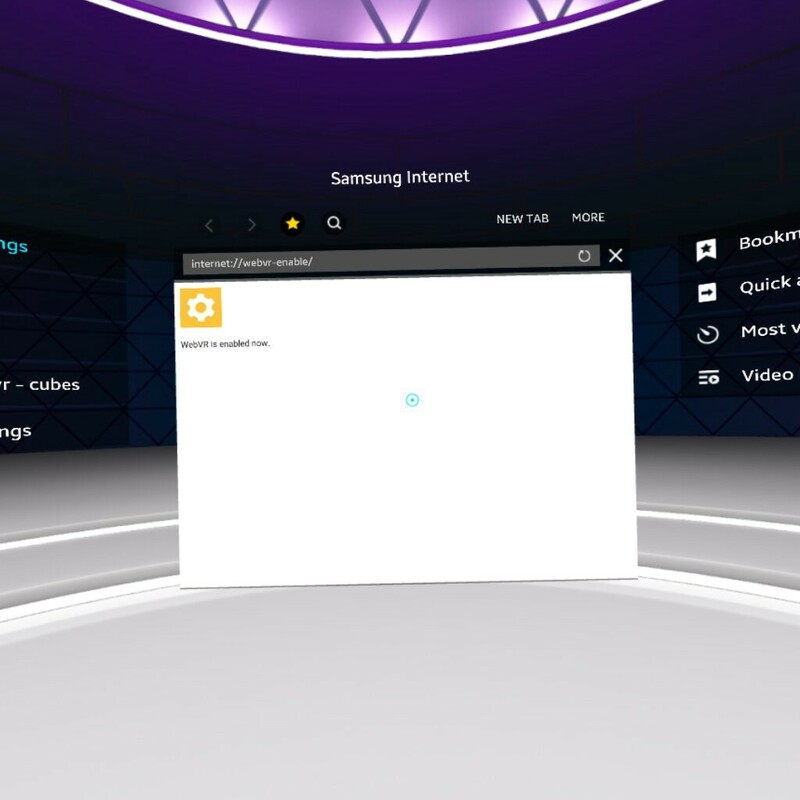 Enabling WebVR on Samsung internet. 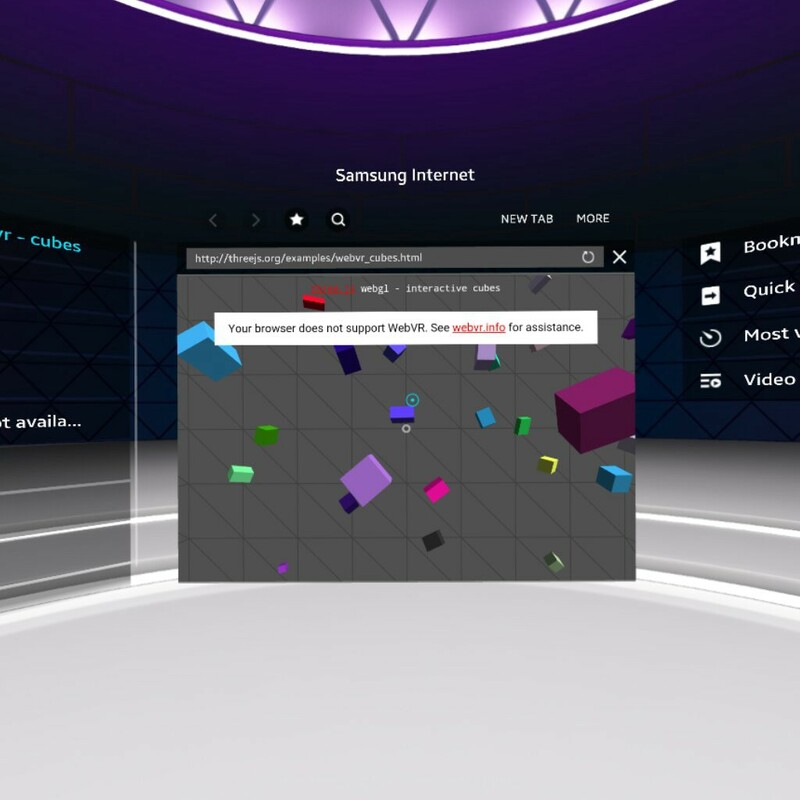 Samsung Internet for Gear VR does not come with WebVR enabled by default. WebVR enables experiences to go fully immersive rather than being contained in the window. If it works you can enter a fully immersive environment surrounded by cubes.